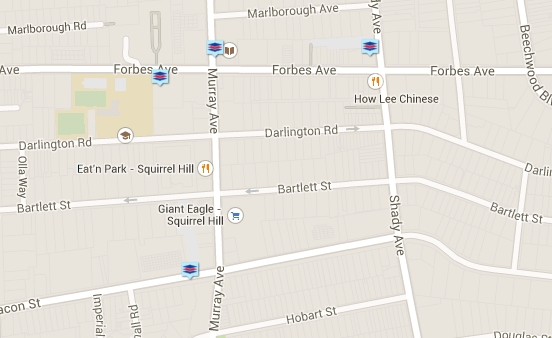 There is abundant on-street, metered parking in Squirrel Hill along both Forbes and Murray Avenues. Street meters hours are Monday thru Saturday from 8am to 6pm. Street parking is free after 6pm and all day Sunday. In addition to street parking, the below lots are available with metered rates Monday thru Saturday from 8am to 6pm. Metered parking is $1.50 per hour. Coins and credit cards are accepted, or you can download the Pittsburgh Parking App on your smartphone.